Kathara Deftera here in Greece, is translated to Clean Monday. Basically it’s the first day of lent for the Greek Orthodox religion. Nutritionally it is important because it marks the beginning of the 40-day fast, which ends on Easter. Traditionally Kathara Deftera was characterized as a day of cleansing oneself (spiritually) and preparing for the fasting and the mourning. People ate plain fish roe (taramas), bread, beans (without olive oil) and other vegetables. Today things are bit different: modern Greeks spend the day flying kites, going to parks or out to the countryside, dancing and of course eating. Instead of just plain fish roe they eat taramosalata (fish roe dip made with olive oil and bread), olives, lagana (bread), shellfish, octopus and halva. The practice of going to the countryside and celebrating is called Koulouma and it’s a relatively recent tradition. I’m not a huge fan of picnics but my favorite part of Kathara Deftera is the taramosalata. 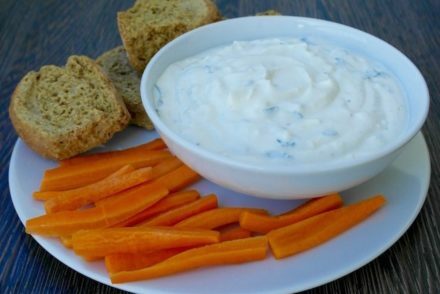 It is a very addictive dip made from fish roe, a lot of olive oil, bread or potatoes. First of all though, I want to set the record straight on the name; it is called Taramosalata NOT Taramasalata. No Greek ever calls it Taramasalata, so you shouldn’t either. Apparently though many people think the right name is the latter. When I did a search on Google, taramasalata (incorrect term) returned 462,000 results, when I searched taramosalata (the correct term) I only got 151,000 results. Another important point I would like to make is that it is better to avoid pink taramosalata, that is just color and sometimes used for lower quality fish roe. 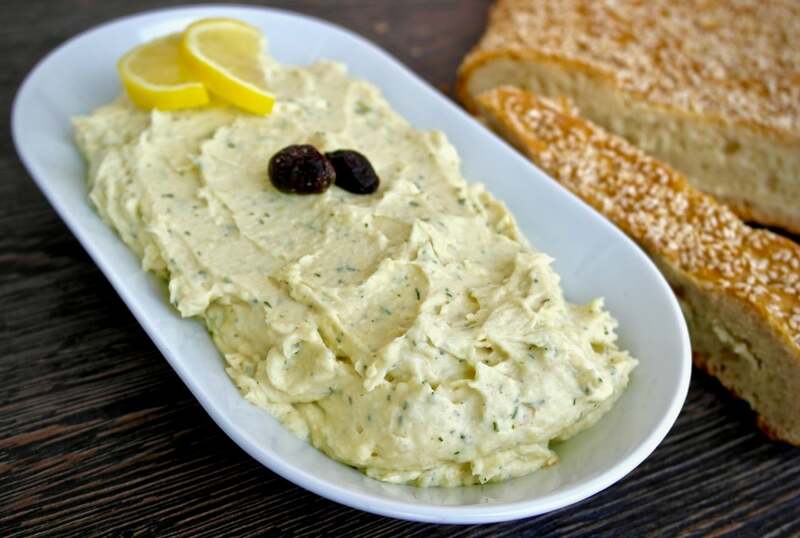 So, yes this dip is rich and salty, but the ingredients, as with most Greek foods, are healthy. Fish roe is an excellent source of Omega-3 fatty acids and protein; olive oil as we all know is an excellent source of the good monounsaturated fats and antioxidants and lemon juice also rich in vitamin C, an antioxidant. About 80% of the fat comes from healthy fats too. So really, there is no reason to feel guilty, eat and enjoy but not too often. Remember taramosalata was consumed only a few times a year. I’ve included a recipe my mom has been using the last few years, although there are more steps to it, it is easier and foolproof and slightly milder than the traditional taramosalata. 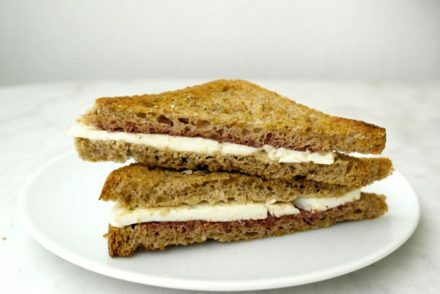 And for a taramosalata with more fiber but equally delicious click here for taramosalata made with whole wheat bread. Soak the bread in water and then squeeze removing the water. In a mortar melt the roe and then add the bread. Continue to melt in the mortar until smooth or you can use a food processor for this step. Add gradually the oil and the lemon. Serve the taramosalata in a plate. You may add chopped onion. *Note: This version is strong. Make it milder by using less fish roe (see below). Also if you use potato you will have much creamier and a bit denser taramosalata. *Instead of bread you can use mashed potatoes. If you use potatoes boil them with the skin for about 20 minutes, starting with cold water and peel them when they have cooled off. 2. In a food processor add 1 dry onion with ½ cup of olive oil. Process for a minute, but do not over mix, it should not be smooth. 3. Add to the potato mixture once cool, the onion and fish roe. With a hand mixer, beat until smooth. 4. Add the rest of the oil gradually while mixing. 5. Once smooth, add the lemon juice and continue to mix. 6. Add some vinegar for taste. 7. Add the dill to the mixture and mix with a spoon. Why should pink roe be avoided? Bright pink roe is usually of lower quality and the color is due to artificial dyes. Hi. I believe the word TARAMOSALATA is a composite word in Greek, and this is its correct use. This is because Taramas is the adjective describing the salad rather than the noun, hence why the last syllable changes from -ma in the noun, to -mo in the composite word. i.e. this is a salad ‘made of’ tarama. However as the English language does not have the capacity to allow such composite words to come in from other languages, it uses the noun as an adjective, without any change to the spelling of the word, hence why TARAMASALATA is extensively used in English-speaking countries. For a Greek or anyone fluent in Greek it does ‘sound’ strange, hence why many mainland Greeks tend to fondly smile at English-speaking foreigners who use this version. Delicious a food though, no matter what the word is! I LOVE LOVE LOVE LOVE TARAMASALATA . Haven’t had any for like years and years. Years ago I had my first taramasolata in a Greek restaurant and I’ve tried for years to make it the same. I can never get it to taste the same. Which is the best roe to get to give a good strong flavour? As I mention the carp roe is the one traditionally used.That will give you the taste you are looking for. Also you need to use enough of it. Where can you buy carp roe. You can find it in Greek, Italian and Middle eastern grocery stores and some whole food stores too. I was raised on the stuff and it is one of my favorite foods. You can buy just the eggs, Tarama or get it already made Taramosalata on Amazon. Or just visit your local middle eastern market and buy the Krinos brand. 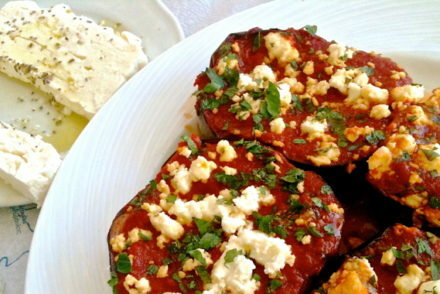 It is as good as Greek homemade. I would be so grateful to know if the roe has to be smoked, salted, marinated or cooked in some way prior to using it in the taramasalata. I bought some pollack roe – fresh frozen and have used caviar before. So I wonder if using the raw eggs is good. Hi Roberta, The “tarama” which is what we call this fish roe is made by drying the eggs and the being salted. So yes it is salted when you buy it and dried. Hello. My wife is Greek and is a descendant of the Syregellas family from pellaponisos.. She is wondering if you are related in any way to this family. Perhaps a doctor Paravantes from Piraeus. The taramosalata I’ve had is carp roe- and potato-based, and I love it. Can anyone tell me the flavor difference between carp and cod roes? The difference in taste is small, they are used interchangeably. Nearly all the recipes in the UK use smoked cod roe for taramosalata, which is raw cod roe cured with salt first(which draws out some of the water) and then smoked while still moist. It is delicious but I was completely unaware that in Greece the roe is dried first, then salted. I’ve never seen dried roe in the shops and in fact any kind of dried fish is hard to find over here. People prefer the fresh frozen fish now. I guess it is much easier to store the dried salted roe and other fish in the home and use as needed….certainly in the days when no one had a fridge or freezer. Talking of tarama/taramo, I was wondering about the use of the term “melt in a mortar” in your recipe. Should it perhaps be blend? Hi Chris, You want to crush or grind the tarama and bread until you have a paste. Lately the Taramosalata by Krinos that we’ve purchased is almost ineatable because its extremely salty. 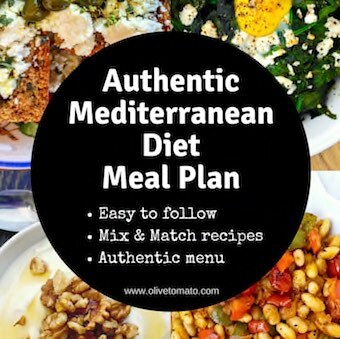 I’ve bought it several times in the past,and “doctored “it up with olive oil,lemon juice,and grated onion….which it really needed and called for,but now it is so salty and tart,that olive oil does not help…….Do you know if there has been a change in the recipe? As I said it is salty and tart(sour almost). I would suggest trying to find fish roe (tarama) and making it on your own. Generally ready-made taramosalata is nothing like homemade even here in Greece. You can also try adding some mashed potato to make it less intense. Hi – I live on a small Caribbean island where things can be difficult to find. However, I happen to have a small jar of black caviar from Iceland. Am I bastardizing it too much if I use that? If so, I will be in Florida next week and surely can find the proper carp or Cod roe…. What is one dry onion??? Otherwise sounds good and easy. I am already on your mailing list. Hi Katarina, By “Dry” I mean a regular onion as opposed to a spring onion. Will clarify that. Thanks!